Home » What Is A Sleep Attack? A sleep attack is most commonly viewed as a feature of the sleep disorder narcolepsy – although they can occur independently of narcolepsy, too. Narcolepsy is defined by a neurological lack of control over sleep and wakefulness. People who suffer from narcolepsy tend to experience excessive daytime sleepiness, alongside sleep attacks – intermittent and uncontrollable episodes of sudden sleep. They can occur at any time and during any activity. Although narcolepsy is the primary reason behind sleep attacks, this may not be the case 100% of the time. Sleep attacks are also a feature of sleep apnea, the most common sleep disorder in the USA. Sleep apnea means that a person ceases breathing several times during sleep throughout the night. It’s usually caused by a physical blockage to the throat or chest, such as collapse of the throat muscles, the tongue falling backwards into the esophagus, or enlarged tonsils. Sufferers of sleep apnea often wake up multiple times during the night, even if they don’t remember it. The extremely poor quality of their night time sleep will usually lead to excessive daytime sleepiness, and in extreme cases this can result in sleep attacks. Similarly, severe cases of restless leg syndrome can have a huge impact on the quality of night time sleep. Because sufferers are frequently moving, and often in large amounts of pain, their sleep cycle and quality can become badly messed up. Again, this can lead to excessive daytime sleepiness, and thus sleep attacks. During a normal sleep cycle, a person moves through the four initial stages of sleep before achieving REM, or Rapid Eye Movement sleep. This is the deepest stage of sleep, where the body becomes paralyzed and the majority of dreaming occurs. During a sleep attack, REM sleep occurs almost immediately. For narcoleptics, REM sleep is also achieved much more quickly during their night time sleeping hours. What Are The Symptoms Of A Sleep Attack? Typically, the criterion of a sleep attack is the sudden and irresistible urge to fall asleep, regardless of mood, activity or setting. Sleep attacks tend to happen suddenly and without warning, and can be extremely jarring to those around. Sleep attacks can last between a few seconds and a few minutes, and in extreme cases can happen multiple times a day. In narcoleptics, because of the quick onset of REM sleep characteristic of a sleep attack, a sufferer will likely experience some muscle paralysis. They may also feel as though they’re dreaming, and be disoriented or frightened upon waking. Narcolepsy usually becomes apparent between the ages of 15 and 25, though hit can occur at any age. It often goes undiagnosed, or is misdiagnosed as a fainting disorder, schizophrenia or depression. The direct cause of narcolepsy is not yet known – although scientists now believe it has strong genetic implications. Some researchers believe narcolepsy is a result of a lack of particular sleep hormones being produced by the brain. One chemical in particular thought to be associated with narcolepsy is hypocretin. There is also research suggesting that narcoleptics may have abnormalities in the parts of the brain responsible for REM sleep. If you think you may be suffering from narcolepsy or any other sleep disorder, please see your medical professional. Narcolepsy can also be caused by autoimmune disorder, and, occasionally, come about as a result of a head injury. Aside from sleep attacks, other symptoms of narcolepsy include excessive daytime sleepiness (EDS), cataplexy (sudden loss of muscle control), hallucinations and sleep paralysis. Less common symptoms include memory loss, headaches, depression, and automatic behavior (undertaking a task with little to no recollection of it afterwards). Other Causes of a Sleep Attack? Sleep attacks are commonly a symptom of an untreated sleep disorder – most frequently narcolepsy, but also sleep apnea or restless leg syndrome. In the latter two, they are as a result of poor quality of sleep leading to excessive daytime sleepiness. 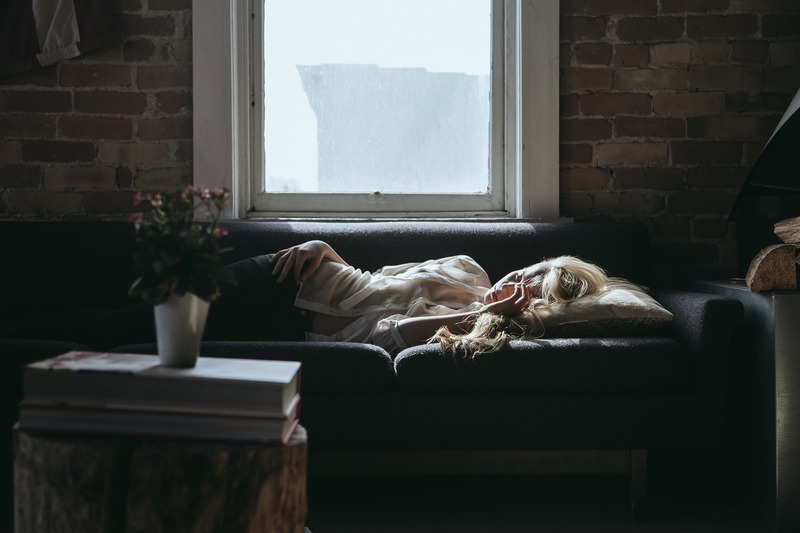 In narcolepsy, excessive daytime sleepiness plays a role, but there are also thought to be hormonal imbalances and neurological abnormalities which contribute to sleep attacks. What To Do During A Sleep Attack? Sleep attacks can be especially dangerous for those driving or operating heavy machinery, but can even be hazardous during less obviously risky activities like walking down the stairs. If you feel intense excessive daytime sleepiness or believe you may be at risk of an attack, finding a safe space is absolutely paramount. If someone you’re with has a sleep attack, although it may be jarring, know it’s of no intrinsic danger. Try to help them get to a comfortable and safe sleeping area, and don’t try to wake them as this can be disorienting and frightening. After they wake, advise them to seek out medical advice if it’s new behavior or something they’re unfamiliar with. People who suffer sleep attacks can often feel ashamed or embarrassed about it, so try to be reassuring and sensitive to their needs. How Can You Control Sleep Attacks? Although there is no cure for narcolepsy, some of the most debilitating symptoms can be controlled through drugs. By treating these symptoms of narcolepsy, the frequency and severity of sleep attacks can be drastically reduced. Again, it’s best to talk to a doctor/medical professional for courses of treatment and options in that regard. There are also lifestyle changes which can help those who suffer from sleep attacks – both those associated with narcolepsy and those not. Things like avoiding caffeine, alcohol and nicotine, reducing heavy meal consumption, keeping good sleep hygiene, exercising and incorporating a daily nap schedule may help minimize the risk of disrupted sleep patterns and fatigue.